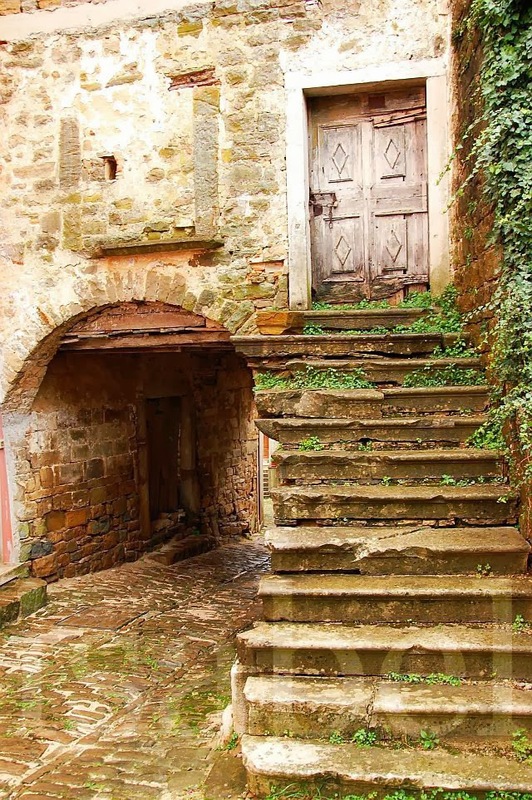 One of these hilltop towns where time has stopped is Oprtalj (Portole is its Italian name). 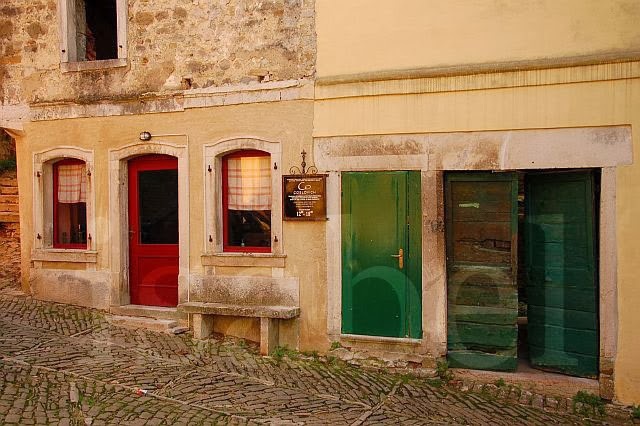 The drive up winds through pine forests before reaching a plateau at 378 metres from where there are magnificent views of the neighbouring hilltop town of Motovun, which is better known by tourists. When were its glory days? When it was a hill fort settlement during the Roman period? Or was it in the 16th century when this was part of the Venetian Republic? Venice has indeed left many marks: the handsome Venetian loggia at the town’s entrance and a statue of the Lion of St. Mark, along with many architectural details which hint at its Venetian past. 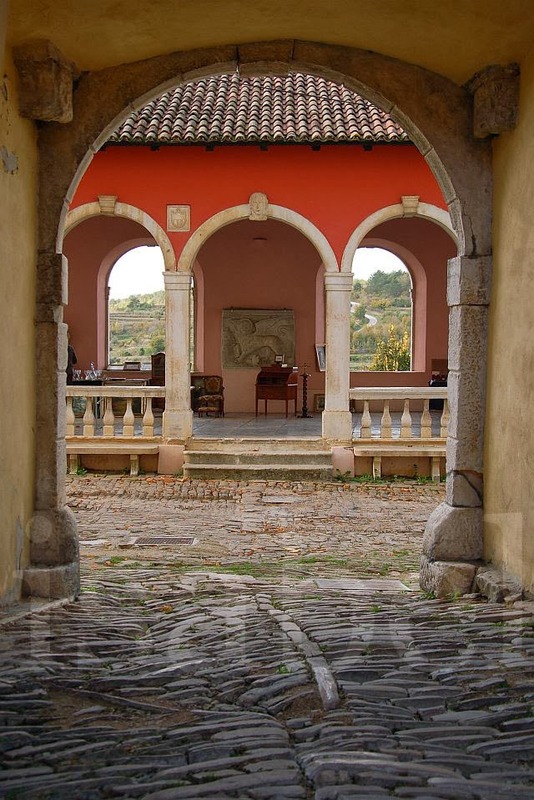 Through an archway, the Venetian-style 'loggia'. Inside the loggia we find the Lion of St. Mark. 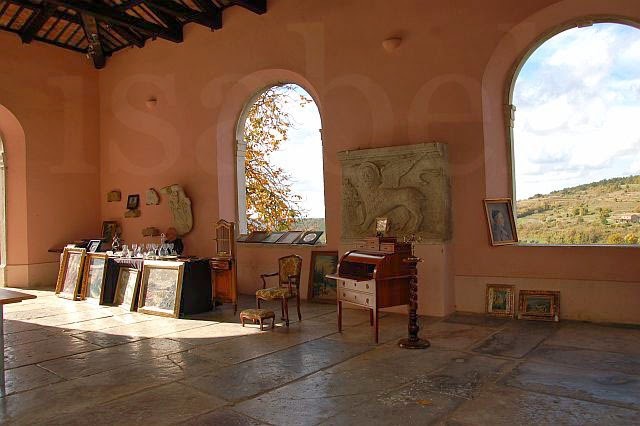 This is where an antiques market takes place on the second Sunday of each month. 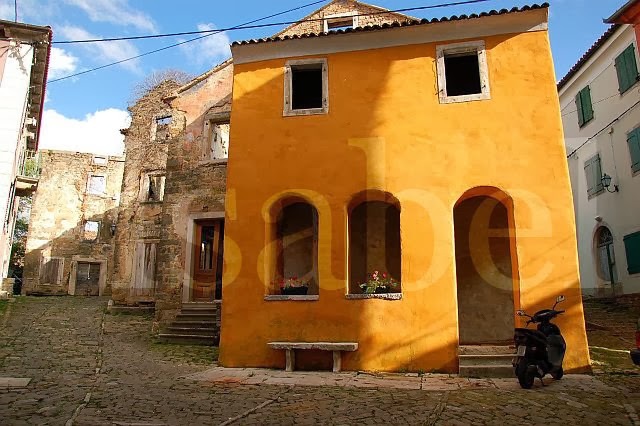 There are a few cafés, restaurants and shops here and the village seems to be going through a slow revival, but most of its old houses and buildings are in a neglected state. The last time I was here was about eight years ago... and I had imagined Orptalj would be in a more advanced state of reconstruction. 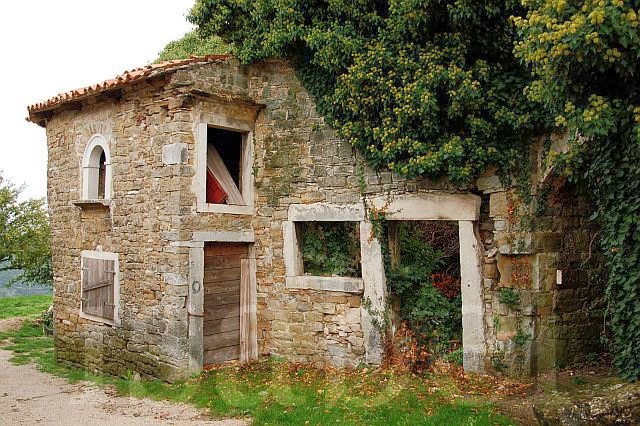 But its charm is intact and this remains one of my favourite villages in Istria. Our next stop was another central Istrian gem: Završje, which will be the topic of a future post. 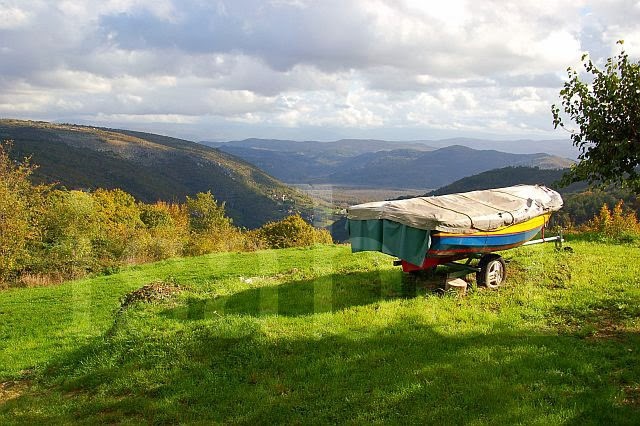 I leave you with this image of a boat perched on the edge of the village!